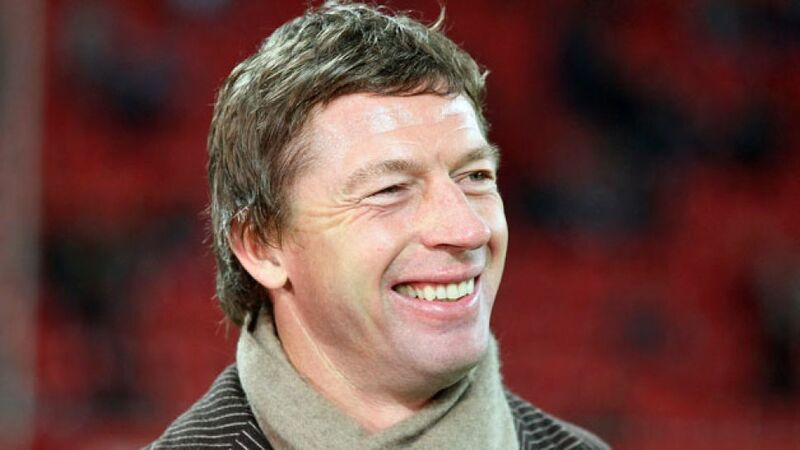 Cologne - As a two-time Bundesliga winner with over 150 German top-flight appearances to his name, there are few retired pros in a more informed position to call the Rückrunde opener between VfL Wolfsburg and FC Bayern München than Steffen Freund. The former BSG Stahl Brandenburg, FC Schalke 04, Borussia Dortmund and 1. FC Kaiserslautern midfielder, who also spent time in England at Tottenham Hotspur and Leicester City, enjoyed a storied career playing for club and country and will be putting all that knowledge to good use when he assumes co-commentator duties as part of the DFL Deutsche Fußball Liga's live international coverage of Friday's blockbuster clash from the Volkswagen Arena. Freund was born in Brandenburg an der Havel in the now defunct German Democratic Republic (GDR) on 19 January 1970. Aged six, he joined local outfit BSG Motor Süd Brandenburg, before moving to BSG in 1983. With a fast-developing reputation as a no-nonsense midfielder, Freund took his game to the international stage, enjoying great success at U-18, U-19, U-21 and at Olympic level for the GDR prior to German reunification in 1990. His talent soon caught the attentions of promoted Bundesliga side Schalke, for whom he went on to score three goals in 53 Bundesliga appearances during a two-year stint in Gelsenkirchen. The Brandenburg native's decision to join fierce local rivals Dortmund in summer 1993 was anathema to the Royal Blue half of the Ruhrgebiet, but it was at the Signal Iduna Park where he truly evolved into one of Europe's top players of his type. Freund took his European bow in the UEFA Cup in his first season in a black and yellow shirt, as well his international debut for Germany. The next few years produced a handful of highlights, including back-to-back Bundesliga titles in 1994/95 and 1995/96 and UEFA European Championship glory in 1996. Injury ensured he would miss the showpiece finale at EURO '96, however, as well as the majority of the ensuing campaign which culminated in Dortmund winning the Champions League thanks to a 3-1 win over Juventus FC in Munich. In 1998, the Germany international moved to Premier League side Tottenham, where he spent the next five years of his career. Leaving as something of a cult hero, the Spurs' fan favourite returned to Germany with Kaiserslautern, only to touch back down in England less than a year later for a short stint on loan at Leicester. He retired from professional football in 2004, having made a total of 423 competitive appearances since turning professional in '83. Freund returned to the game in 2007 as co-coach of the Germany U-20 squad, assistant manager of the Nigerian national team and later head coach of Germany's U-16s. In 2011, he led the U-17s to a runners-up finish at the UEFA European U-17 Football Championships and to bronze at the FIFA U-17 World Cup in Mexico. In July 2012, the 21-time international was appointed assistant head coach back at Tottenham, where he currently holds the position of International Technical Coordinator. The 45-year-old also works as a commentator and pundit for Sky Deutschland, BT Sport and the DFL Deutsche Fußball Liga.